I have set default inbound to deny all, however in the interest of hardening a Raspi installation would the above rules help? 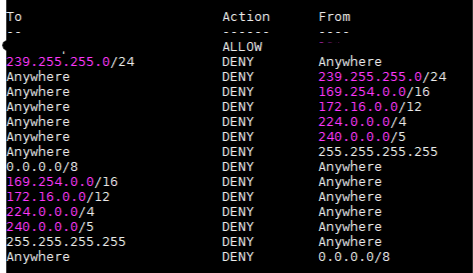 Browse other questions tagged linux firewalls raspberry-pi or ask your own question. Debian 8 and few questions about Graphical Firewall? Would an RP3 do well as a firewall appliance?